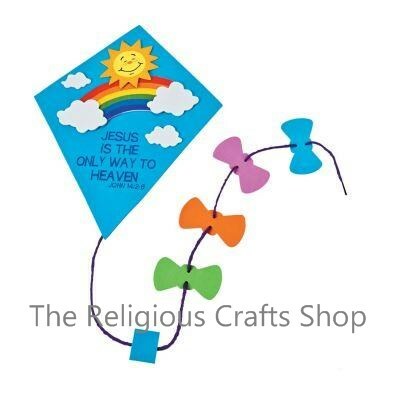 1 Inspirational Kite Door Sign Craft. This is an easy to make craft with all self adhesive foam shapes, so no glue needed. It features the Bible verse John 14:2-6. Kite shape measures 24cm by 18cm with an additional kite tail.